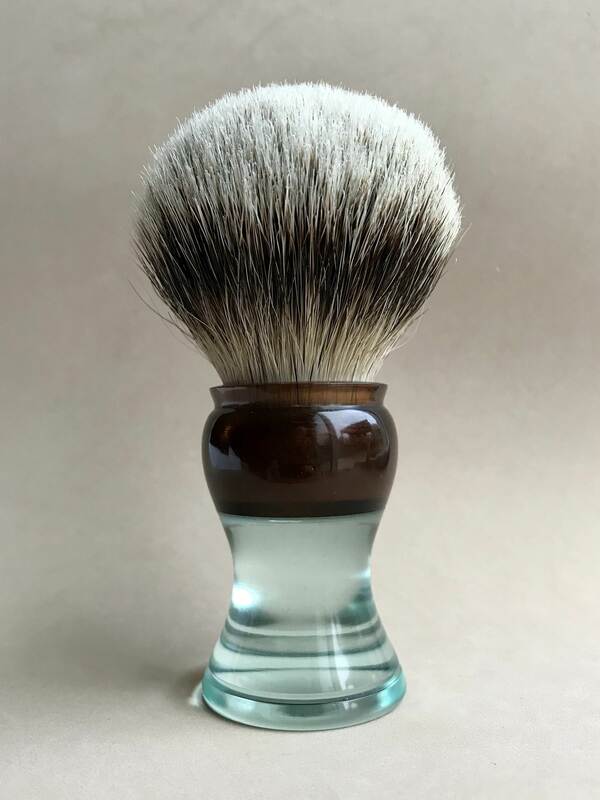 For Sale: Custom Doug Korn D55 shaving brush made of dark Root-Beer over light Aqua-marine transparent resin with a TGN Grade A Silver-tip Badger knot with great hooked gel-tips... This is a fantastic knot folks! ... see photos. 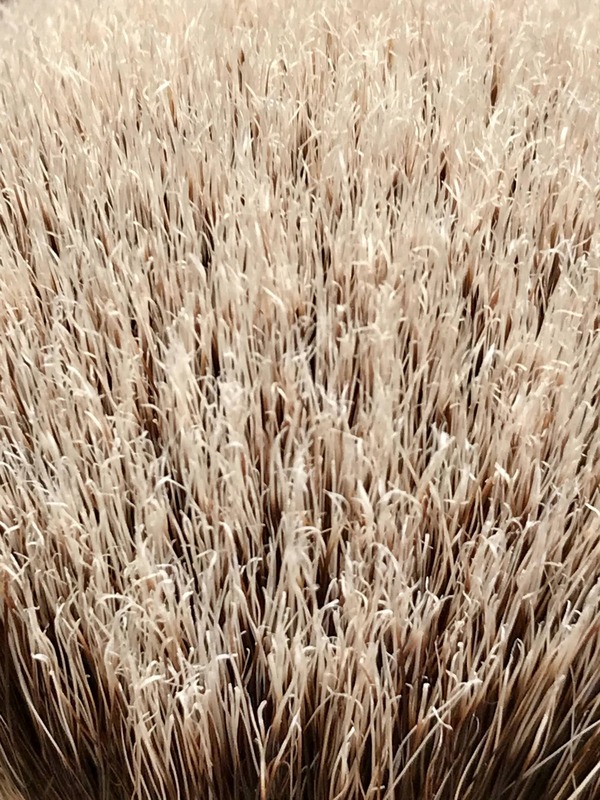 The Custom D55 handle is 54mm tall. 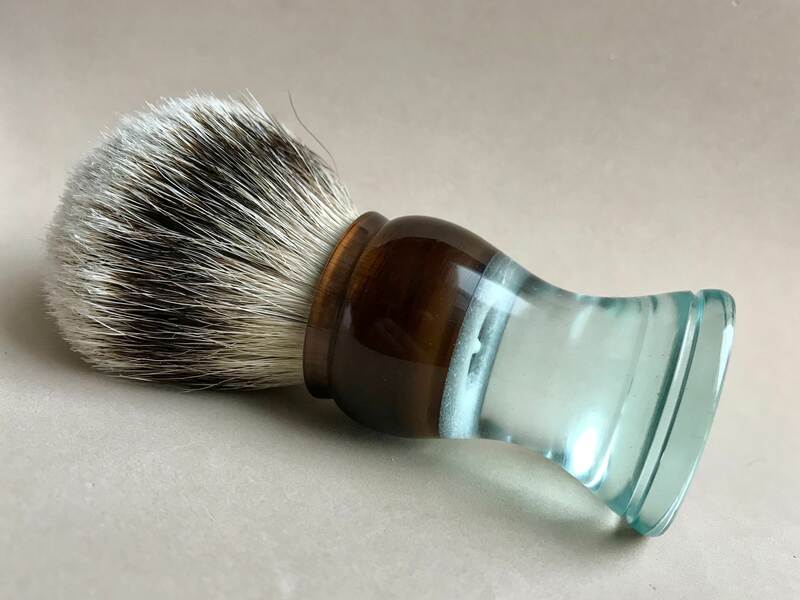 It is shown here with a TGN Grade A Silver-tip Badger knot with hooked tips that should develop into nice soft Gel-tips with a little use. It is set at 26x50mm loft.